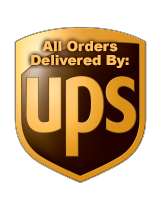 We use UPS for Deliveries. They do not deliver to P.O. Boxes! We Ship Monday Thru Friday.